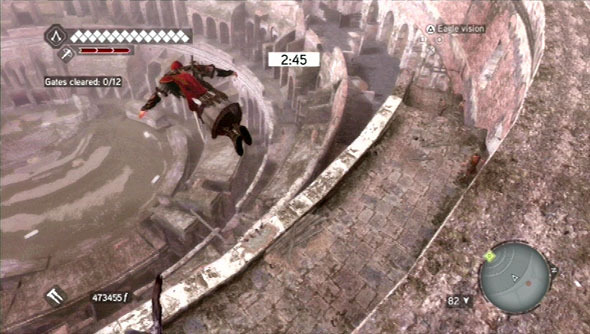 I've recently got into Assassins Creed Brotherhood in quite a significant way. So much so I played it all the way to the dreaded red ring of death! It's official I liked a game so much I played it till my XBox killed itself. Still as I say - I killed my XBox for this game, it's great. I can't wait for November - bring on Assassins Creed Revelations! One of the main reasons I play games is for their (admittedly often poor) stories. Assassins Creed Brotherhood (ACB) left me totally cold. It carried on directly from where AC2 left off, and having had no contact with AC2 I was baffled by what was going on on-screen. There was a very short, confusing attempt to get players up to speed, but I feel it was very much aimed at previous players picking up this game after a break. No help for newbies! There could have been an option to see an extended version for new players, as it was they were left in the cold. The end result was that I really couldn't have cared less about the characters - I didn't even understand who half of them were, what their relationship to me was, or why I should care what happened to them. It also meant that I avoided the missions which advanced the story like the plague. I couldn't be bothered to do these people's busywork and it didn't entertain me as much as the rest of the possibilities available to me in Rome. One of the complaints I've heard regularly about the previous games is the repetitive nature of the missions. I really didn't think it suffered from this too badly, but I did object when the game decided to apply arbitrary rules. I'd be given a mission, say, go kill this man, but the game would then also apply a new restriction - for example don't kill any other guards. This restriction wasn't auditory, but was flashed up in small text to the side of the screen. Instructions placed away from where I'm attending (the center of the screen) are hard to notice, so it took me a long time to realised these restrictions were there. I only discovered the problem when I was forced to restart the mission after popping a nearby guard for fun. It's was a real irritant, as it placed a seemingly arbitrary restriction on the game. If the story provided some explanation for these restrictions I would have been more willing to accept them, but they really just gave the impression of arbitrarily increasing the difficulty. Strangely, the game sometimes offered these types of restrictions in a way that worked very well - as optional added achievements in a mission. Note the word 'optional'. For full marks ("full synchronisation") the player can complete the mission whilst fulfilling this secondary mission, but it's not mandatory. This is a much better approach to take, highlighting the more difficult 'route' for more skilled/committed players. The game introduced the controls remarkably badly! There's no denying the complexity of the controls, and the game just a few half-hearted attempts to introduce them before throwing the player into the deep end. Once more this could be a symptom of assuming the player had played the previous game. The game really needed more care to be taken in introducing it's controls to new players. This is a complaint that the Assasins Creed series generates regularly. Fighting really felt a bit like a duck shoot. I'd be surrounded by enemies, and they'd all queue politely take turns to fall on my sword. I think the designers should have a close look at Batman Arkham Asylum to see a game that handles combat really well. It felt more responsive, and free flowing than that available in ACB. A more minor issue - but an irritating one for me. When wandering Rome I often had to go through the menus to look at the map. When I say often, I mean 'once every 10 seconds or so' (I'm pretty poor at pathfinding). There's several issues with the map, the first with it being so hard to get to. To open it up you need to pause the game, move to the third item down, select, and then zoom in (about 6 button presses). I was just looking in the manual for a suitable button for a shortcut and I've just realised there is one, the select button... doh! Even some of the map icons are poor - the same icons are used to show unsold locations and locations on a different level. I spent a long time trying to find mysterious unpurchased locations. The maps also quickly get covered in an array of icons - 90% are not useful at any one time. It could be useful to give the player the ability to hide groups of icons at a time (for example hide all the purchased locations), but keep the unsold. Or hide all the icons except missions. 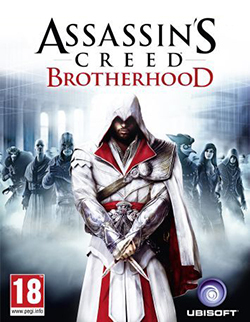 When ACB was released there was a massive marketing push, suggesting Ubisoft the publisher hoped to market to new players. However, the game is quite difficult for new players to use. I don't feel these issues I've highlighted would sit well with the new players picking up the game for the first time. This could have been easily addressed with a few small changes. 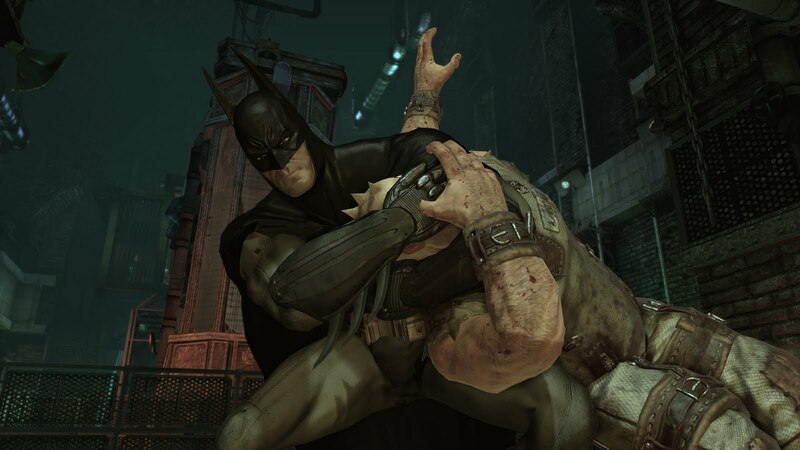 Much more attention should have been paid to the usability of the game, especially it's initial introduction to both the story and controls. Having said all this - I really enjoyed the game. It's great fun and gives you so much freedom. I'll certainly be playing the next one (especially now I've worked out the controls...).